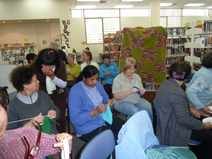 Knitting and crochet courses are quite popular in Sydney. You sometimes see a few people on the train knitting something. 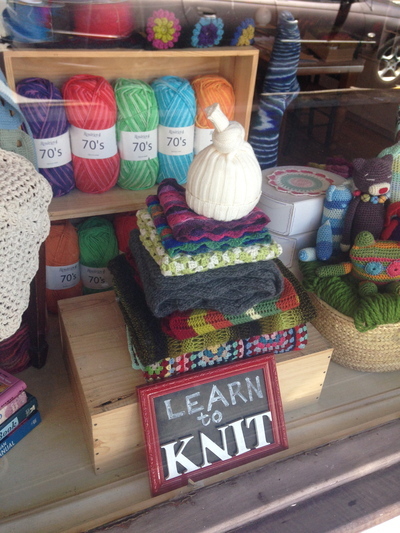 On this, where is the best place to learn to knit in Sydney? If knitting is not your cup of tea, then who do you know who loves knitting, and if they did a course - whereabouts in Sydney did they attend this course? I have a friend who could already knit but learnt to crotchet through a local group who meet in the council library every Thursday. This group called "Wrap with Love" who operate out of other venues all around Sydney simply knit squares to a pattern then sew them all together to make blankets. Once the blankets are finished they donate them to charity. This group of women are ethnically and age diverse, which is one of the things that makes a community endeavour like this so cool! They are always looking for new and aspiring knitters and are willing to coach people through their first knitting experience. I think it would be a great way to get started.